We hear from people all the time who want a direct comparison review of different memory foam mattresses. People want to know if there is really a difference in the comfort of different memory foam mattresses, in their quality and durablilty, in their money back return policies, their business ratings, etc. 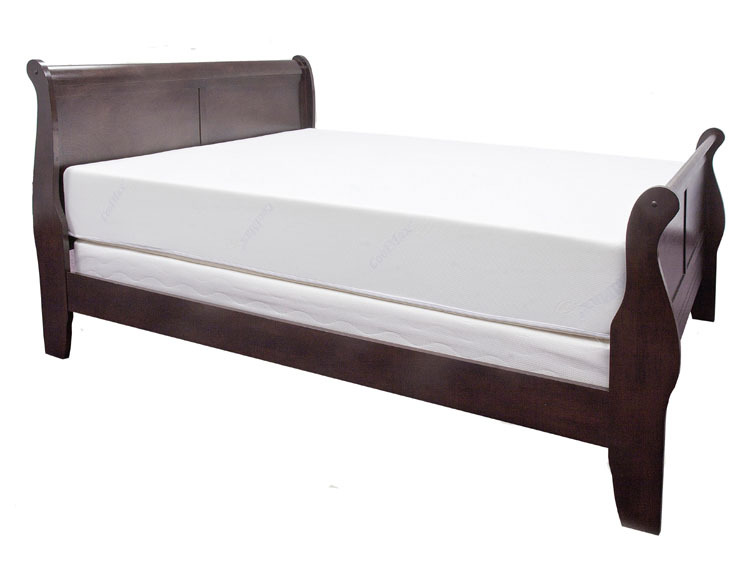 Perhaps you are looking for a memory foam mattress, or maybe you are looking for another type of mattress. You may think that the only way to shop for a memory foam mattress is to go to your local mattress store, lie on a mattress for 10 minutes, pick one out, and cross your fingers. Memory foam mattress shopping doesn’t have to be that way. What Makes Our Proprietary Healthy Foundations 10″ Memory Foam Mattress Unique? Our unique mattress, including our high quality foams and our five-layer proprietary Comfort Matrix Construction™ allows our Healthy Foundations 10” Memory Foam Mattress to provide outstanding comfort and support in the world of inferior memory foam mattresses. This unique and high quality memory foam mattress can be bought nowhere else in the world. Author Angela L. HensleyPosted on February 9, 2015 February 9, 2015 Categories Customer Satisfaction, Mattress, memory foam, memory foam mattressTags memory foam, memory foam bed, memory foam density, memory foam mattress, memory foam mattress density, memory foam mattresses, sleep, sleep hot, sleep issues, sleep problemsLeave a comment on What Makes Our Proprietary Healthy Foundations 10″ Memory Foam Mattress Unique? Memory Foam Mattresses: Great Sleep and Durable too! A memory foam mattress is very comfortable. It is temperature sensitive which means that it uses your body’s heat to mold to every contour of your body. This reduces pressure points and the need to toss and turn to stay comfortable. Once you do change positions, the memory foam “remembers” its original shape and then gently settles in to your new sleeping position. A few years back, writer, Cathy Alter, spent the night in a mattress store and shared her night in a Washingtonian article entitled Finding the Perfect Mattress. During her night at the mattress store, Ms. Alter spent up to 90 minutes on each mattress. This is a fun concept for an article, and better than the quick in-store trial in a well broken-in bed that most people get, but sleeping in a store in a strip mall isn’t going to cut it either. Have you been thinking about buying a memory foam mattress? Maybe you’d like to try one but you’re not sure whether or not you’ll like it. Is there one hard and fast way to know if a memory foam mattress will work for you? Fortunately, there is. I came across an article entitled Best Memory Foam Mattress Buying Guide which is one person’s attempt at guiding memory foam mattress purchasers into making the right memory foam decision. The writer means well, but there is one rule she missed — the in-home trial for an extended period. This author says you should test a memory foam mattress for at least 30 days in your own home. I insist that the in-home trial should be at least 180 days.